Colombia’s defense minister on Sunday announced an internal investigation into possible security failures that reportedly allowed a car bomb to enter Bogota‘s police academy where it killed 21 people. Defense Minister Guillermo Botero said that the defense ministry would investigate the claims after investigating who is behind Thursday’s terrorism attack. 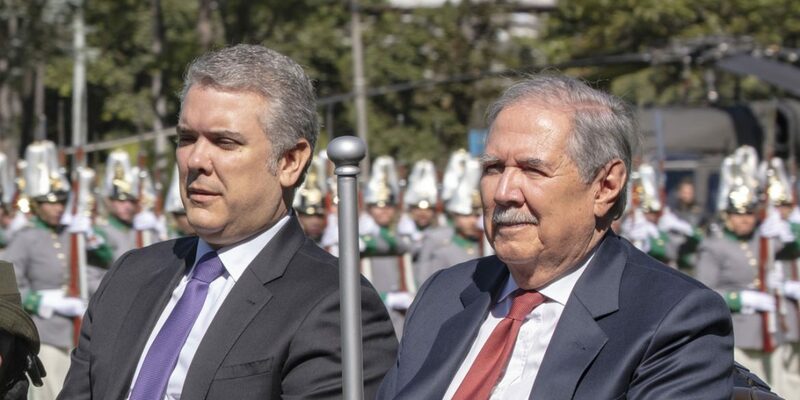 The investigation into the bloodiest terrorism attack in Colombia in 15 years that spurred President Ivan Duque to end peace talks with guerrilla group ELN has been marred by misinformation by Botero and Prosecutor General Nestor Humberto Martinez. Botero and Martinez had claimed that the attacker forced its way into the General Santander police academy while evidence suggests the car bomb entered the school campus without alert and that no alarm was raised until after the fatal explosion. “The first thing is the safety of the Colombian people, after that there will be an internal investigation and that issue will be looked at.” said the defense minister. The only piece of evidence that supports the authorities’ claim that the ELN is behind the attack also contains irregularities, a group of journalists working for foreign media, including Colombia Reports, found out on Sunday. According to the authorities, a hand that was found at approximately 150 meters of the blast belongs to prime suspect Jose Aldemar Rojas, who allegedly died in the attack. The ID number in the forensics report, however, does not match the ID number of the alleged senior ELN guerrilla. According to Rojas’ national registry file, the suspect’s ID number is 14318507. The hand-written forensics report on the fingerprints, the only evidence linking the suspect to the attack, erroneously said Rojas’ ID number is 13318507. According to the National Police database, the man who authorities claim is a senior ELN guerrilla has no criminal record. The attack and Duque’s subsequent decision to end peace talks with the ELN have raised social tensions in Colombia unseen during the peace process. Former President and Nobel Peace Prize laureate Juan Manuel Santos was booed by supporters of his political rival, controversial former President Alvaro Uribe, in Bogota during a march against terrorism promoted by the government and Duque’s party, the hard-right Democratic Center party. In Medellin, a stronghold of the so-called “uribistas,” an anti war activist that took part in the march was assaulted. Despite the promotion, many people stayed home after stating on social media they “don’t march with Uribe,” a former associate of the Medellin Cartel who has been accused of forming a death squad in the 1990s.